During the Marine Ornamentals conference of 2004 I presented a lecture… more like a challenge… to the attendees to “bridge the gap” as I say. The basic concept of my lecture was to draw attention to the varying aquarium hobby constituents and their separation. More important than their separation is the idea of removing that separation. In general this means seeing research scientists get their findings directly into the hands of hobbyists, seeing those hobbyists request specific animals from retailers, which in turn causes a shift in collection sites. Along those lines collection sites can provide invaluable information to research scientists on the natural settings of these animals. My position was that the many groups involved in the hobby were not working directly with each other and far more could be done. This photograph was taken at the Mystic aquarium using fluorescent filters. Shown here Marzena Blundell is using NightSea fluorescent equipment to locate minute marine organisms. Who is Adam Blundell? Adam Blundell is the bridge. After challenging people within the industry to work together I set out to serve as an example. My whole life has been spent as a hobbyist. My career has been research, and now education. With the laboratory I operate and the articles that I publish, I hope to bridge the cap between the research science world and the hobbyists world. I hope it is working… and it appears to be working. On July 11th 2006 I received an email from Miss Erin Hisrich, an intern at the Mystic Aquarium and Institute for Exploration (which I refer to as the Mystic Aquarium) in Mystic Connecticut. Erin had been looking for information on coral fluorescence and her search was most difficult. She couldn’t locate many sources of info on coral fluorescence in captive aquaria. Her main source of information happened to come from an article I wrote here for Advanced Aquarist Online Magazine (Blundell 2005). That email seemed to start it all (queue the dreamy music used in movies for flashbacks). 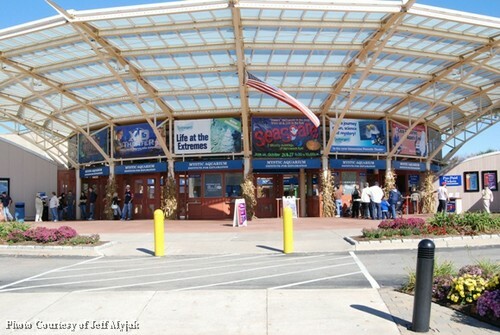 Shown here is the entrance to Mystic Aquarium and Institute for Exploration. Adam Blundell presenting information on fluorescent animals and the equipment used to see this phenomenon. After several emails and a few phone calls between me and the Mystic Aquarium staff the project idea seemed plausible. It was time for me to make my way to the aquarium (about as far across the country from me as possible). I visited with the staff and presented general information on fluorescence, and more importantly fluorescence within the aquarium hobby. After that it was time for the fluorescent guru to take charge. Dr. Charles Mazel (www.nightsea.com) is amazing. He has pioneered the study of coral fluorescence and delivered the information to the hobbyists. Many thanks to Dr. Mazel; I wish we had more people like him. You see I said this whole thing started when I received that email from Miss Hisrich. But in fact it began much earlier. 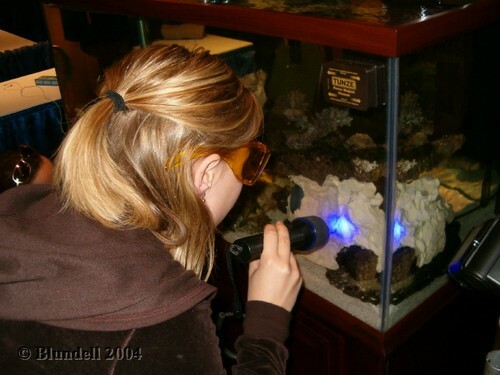 Dr. Mazel has been working with coral fluorescence for years. He is a true research scientist. 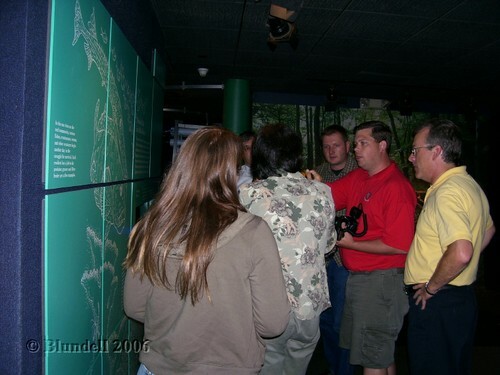 He wanted to share his work and finding with the hobbyists and did so with a breakout presentation at the International Marine Aquarium Conference (IMAC) in 2004. His presentation was “enlightening” to say the least. It was my first opportunity to meet Dr. Mazel in person. From that point on I’ve been in contact with him, and have been using his stellar products. Needless to say I owe my studies, my publications, and the Mystic Aquarium owes their exhibit, to this man. Shown here are the entrance to the new exhibit, and a couple photographs of displays within the exhibit. Photos provided by Jeff Myjak. Where to begin? Let me begin by thanking Jeff Myjak of Enfield, CT. Jeff has been a great help in providing photographs for this publication. The opening of the fluorescent exhibit at the Mystic Aquarium and Institute for Exploration is beacon of hope for what can be done. This project utilized the scientific studies of Dr. Mazel, the hobbyist work of Adam Blundell, the public outreach efforts of the Mystic Aquarium, the vision of William “Bill” Kelly (Mystic Aquarium’s first president) and the desire of one person to bring it together. Congratulations Erin. I’m so pleased to see an exhibit that showcases the wonders of life. Forget the part about it being about fluorescence, the impressive part is seeing how well all the gaps were bridged to bring about this project. For more information, or to plan your visit to this exhibit please visit www.mysticaquarium.org. 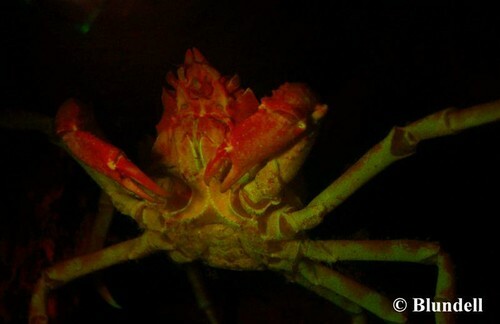 Blundell, A., (2005) “The Seen and Unseen World of Coral Fluorescence”, Advanced Aquarist Online Magazine, http://www.advancedaquarist.com/2005/2/lines, USA. 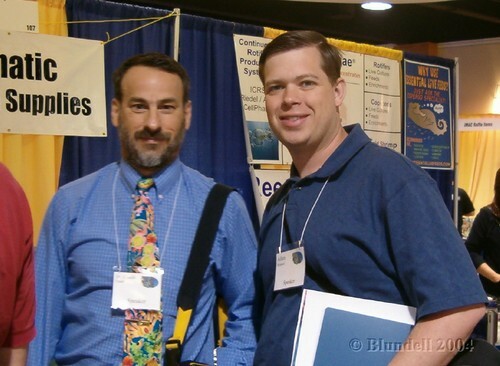 www.NightSea.com Dr. Charles Mazel’s website which is filled with information on aquatic fluorescence.